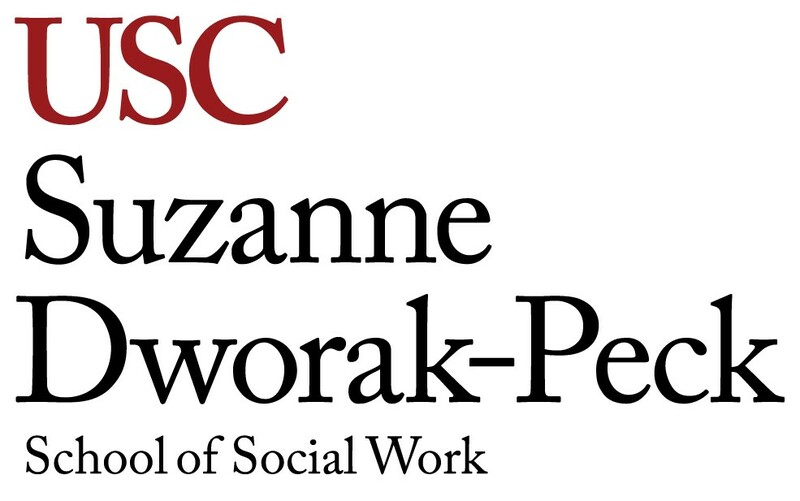 MÓNICA PÉREZ JOLLES who is an affiliate with USC’s The Gehr Family Center for Health Systems Science and a research fellow at the Cecil G. Sheps Center for Health Services Research at the University of North Carolina at Chapel Hill, joined the USC Suzanne Dworak-Peck School of Social Work in 2016. 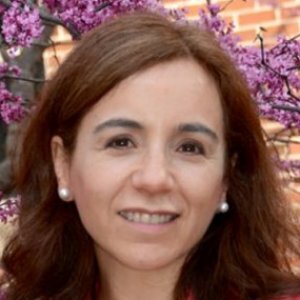 Dr. Mónica Pérez Jolles is a health services researcher with expertise in econometrics and mixed methodology as well as community-based participatory research. Her research focuses on: a) evaluating complex interventions and developing decision-support tools to increase the capacity of health and human service settings to implement these interventions, particularly patient/family-centered coordinated care, and b) testing culturally designed patient activation and shared decision making interventions in primary care settings. Dr. Pérez Jolles has experience collaborating in two pragmatic trials recruiting hard-to-reach minority populations as well as leading secondary data analyses using national surveys such as the Medical Expenditures Panel Data (MEPS) and the National Survey of Private Child and Family Serving Agencies (NSPCFSA). More specifically, projects include a PCORI-funded Eugene Engagement Award developing a toolkit to increase the capacity of behavioral health care providers to engage in patient-centered outcomes (PCOR) research. She was also a Co-Investigator in a recently completed PCORI-funded randomized CER study aimed at increasing parent activation skills for Latino parents with children in need of mental health services. Dr. Pérez Jolles has investigated the organizational and managerial context of health and human service agencies as they relate to how they innovate and deliver evidence-based services to underserved families, including mental health. She has disseminated her research trough 20 peer reviewed scientific publications addressing the individual, provider and organizational aspects of health care services and through national and international conference presentations. Perez Jolles, M., Lengnick-Hall, R., Mittman, B. Despite policy and practice support to develop and test interventions designed to increase access to quality care among high-need patients, many of these interventions fail to meet expectations once deployed in real-life clinical settings. One example is the Patient-Centered Medical Home (PCMH) model, designed to deliver coordinated care. A meta-analysis of PCMH initiatives found mixed evidence of impacts on service access, quality, and costs. Conceptualizing PCMH as a complex health intervention can generate insights into the mechanisms by which this model achieves its effects. It can also address heterogeneity by distinguishing PCMH core functions (the intervention’s basic purposes) from forms (the strategies used to meet each function). We conducted a scoping review to identify core functions and forms documented in published PCMH models from 2007 to 2017. We analyzed and summarized the data to develop a PCMH Function and Form Matrix. The matrix contributes to the development of an explicit theory-based depiction of how an intervention achieves its effects, and can guide decision support tools in the field. This innovative approach can support transformations of clinical settings and implementation efforts by building on a clear understanding of the intervention’s standard core functions and the forms adapted to local contexts’ characteristics. Pérez Jolles, M., Martinez, M., Garcia, SJ, Stein, G., MPG, Mentor Parent Group., Thomas, K.
Pérez Jolles, M., Collins-Camargo, C., McBeath B., Bunger, A., Chuang E.
Bunger, A., McBeath, B., Collins-Camargo, C., Chuang, E., Perez Jolles. Pérez Jolles, M., Wells, R.
Thomas, KC., Livas Stein, G., Williams, C.S., Perez Jolles, M., Sleath, B.L., Prandoni, J., Martinez, M., Garcia, S.J., Guzman, L., Williams, C.E, Morrissey, J. Human service agencies serve a growing number of adults with behavioural health needs. Despite these agencies' key role in identifying need and facilitating services, many individuals do not receive care or end services prematurely. Few studies have explored the experiences of families referred to behavioural health services by such agencies or the extent to which families' perceptions of service need align with those of treatment providers and frontline workers. This study presents findings from a qualitative study of caregivers involved with child welfare agencies who were referred to behavioural health services. Researchers reviewed agencies' case records and conducted in-depth interviews with 16 caregivers, 9 child welfare caseworkers and 12 behavioural health treatment counsellors. Findings suggest that when deciding to engage in services, caregivers weigh not only their individual and family behavioural health needs but also potential agency intervention, including loss of child custody. Many professionals reported that involvement with a child welfare agency hindered the caregiver's disclosure of behavioural healthcare needs. Implications for managers and practitioners are discussed. Many children in contact with child welfare agencies do not receive needed health services. These agencies have used participatory decision making (PDM) practices as a way to increase families' use of recommended services. However, we lack evidence of whether caregiver participation in PDM increases children's use of health services. This study uses a national sample of children involved with child welfare to compare their health service use between those children serve through a PDM practice and those who did not experience it. As the United States becomes more linguistically and culturally diverse, there is a need for effective health communication interventions that target diverse, vulnerable populations, including Latinos. 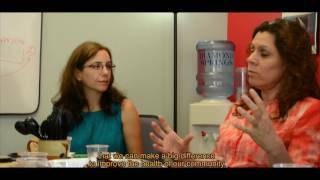 To address such disparities, health communication interventionists often face the challenge to adapt existing interventions from English into Spanish in a way that retains essential elements of the original intervention while also addressing the linguistic needs and cultural perspectives of the target population. The authors describe the conceptual framework, context, rationale, methods, and findings of a formative research process used in creating a Spanish-language version of an evidence-based (English language) multimedia colorectal cancer screening decision aid. The multistep process included identification of essential elements of the existing intervention, literature review, assessment of the regional context and engagement of key stakeholders, and solicitation of direct input from target population. The authors integrated these findings in the creation of the new adapted intervention. They describe how they used this process to identify and integrate sociocultural themes such as personalism (personalismo), familism (familismo), fear (miedo), embarrassment (verguenza), power distance (respeto), machismo, and trust (confianza) into the Spanish-language decision aid.